One thing worth thinking about is that the HP Reverb headset is essentially a 4K gaming monitor running at 90 Hz—in fact, it’s actually 12% higher resolution than that. Today, very few 4K monitors run above 60 Hz and only a few run above 90 Hz (144 Hz). Those 144 Hz 4K displays are incredibly expensive and require considerable GPU horsepower; similarly, the recommended spec for the HP Reverb VR headset is very high compared to most other VR headsets. HP recommends a minimumof an NVIDIA GTX 1080, Quadro P5200, and Radeon Pro WX 8200. While HP doesn’t mention it, I believe that an AMD Radeon Vega VII would also suffice, since it falls into roughly the GTX 1080 performance profile. HP also recommends a minimum of 16GB of RAM, which shouldn’t be difficult since anyone who is using a GTX 1080 or higher should already be running at least 16 GB of RAM. The company also recommends the latest Windows 10 October 2018 update or later versions of Windows 10 for the smoothest setup and driver installation experience. 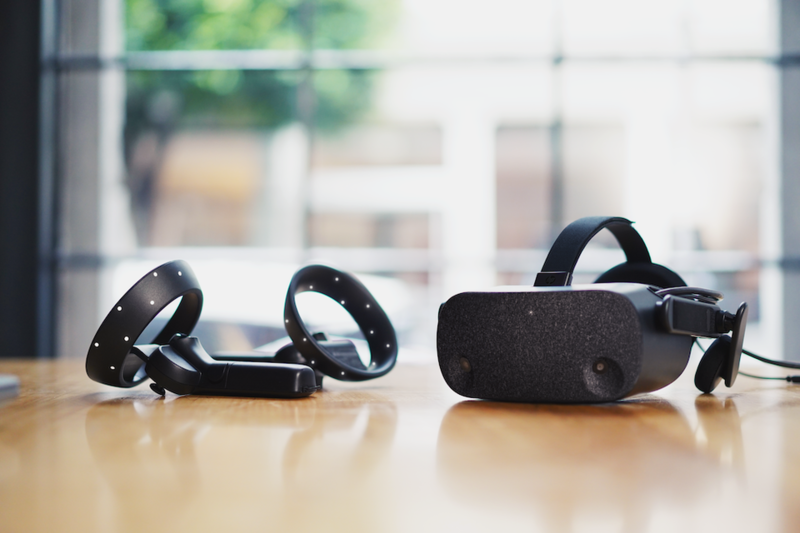 Unlike the Oculus Rift S, the Reverb is clearly not designed for the entry-level VR PC user—this is for people who already have high-end gaming PCs or workstations and are looking to upgrade their headsets.